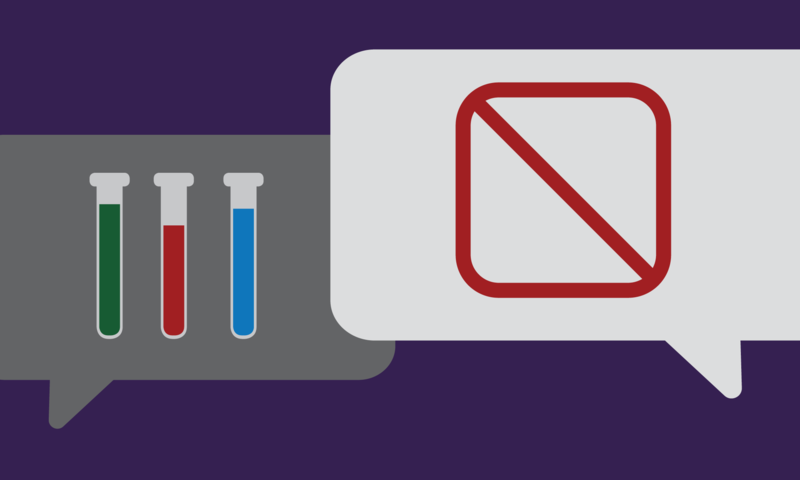 Three fake stats about compliance training design—and the truth. I’m speaking at an academic conference on compliance measurement at UC-Irvine this weekend—so in the spirit of that, let’s get sciencey! Because one of the problems with the compliance training field—and let's be honest, pretty much every field—is its love affair with fake stats that sound impressive as long as you don’t think about them too much. 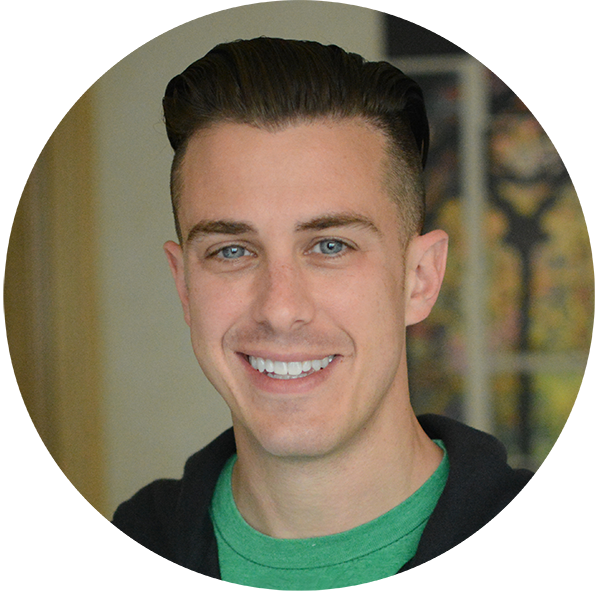 Fake stat #1: Employees need microlearning because they have an 8-second attention span. If that were true, you'd already have stopped reading. And you didn't, because this stat is based on nothing. Here’s an article (and a radio show!) from the BBC where they looked into the "8-second attention span" thing and debunked it, and also hilariously called out all the other media outlets who fell for it. It doesn't even make sense to calculate an average attention span, and that's actually pretty obvious when you think about it for more than eight seconds (heh). Fake stat #2: Employees need visuals because the brain processes visuals 60,000 times faster than text. Haha, what? No, but it would have been pretty amazing if it came out to a round number like that, right? We covered this one in an email back in February; it's similar to the attention-span myth in that it also appears to be based on nothing. Here’s a full debunking. The annoying part about this one is that we actually do have science that shows we remember pictures more readily than words; that’s called picture superiority effect (and it has a lot of caveats I’m not going to get into here, but at least it’s a real thing). So this stat doesn't only cost us credibility because it's goofy; it's an unforced error because there's real support for the concept of using pictures. Fake stat #3: Employees need interactive training because people retain 10% of what they read, but 90% of what they say and do. 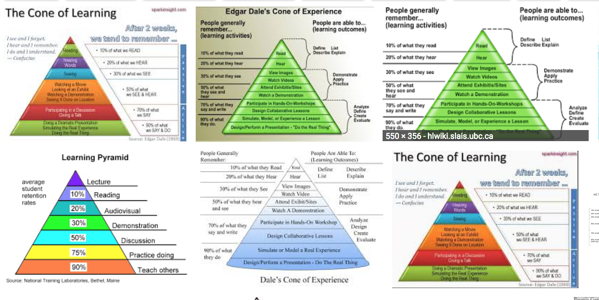 This one usually looks like what you see in these charts; you can wade through the SmartArt mayhem yourself by searching for "Dale's Cone of Learning" or "Dale's Cone of Experience" in Google Images (that's where this collage is from). Here’s an absolutely epic debunking of it. My favorite part is that even the quote from Confucius that you sometimes see with this chart is fake. Amazing. And by now, you should be seeing a trend—any time you’re seeing a bunch of conveniently round numbers, your radar should go up that you’re probably hearing nonsense. The truth about these things. OK, so all of those justifications are fake. What does that mean? Should you try and make your compliance training shorter? Should you shoot for multimedia or interactivity? Well, I don’t know. Maybe. Sometimes definitely—and sometimes definitely not. It depends on your specific application. That's the most insidious part about these fake stats: they promise that doing X will always make something better, and that's a lie. They are basically telling you that a specific tool solves every problem, and that is nonsensical. It would be like coming home from the hardware store with a nail gun because the sales guy said it would make any home improvement project faster and better, and then realizing that your actual home improvement project was "I need to paint the hallway." That is, you pick the tool based on the job, not the other way around. That is how design works. And that means the length and format you use needs to depend on what problem you are solving. You figure out what you are trying to accomplish and then you pick the right tools and length to do that. That's less simple than just chasing the latest trend in format based on some fake science, but it's how you'll actually get the job done.